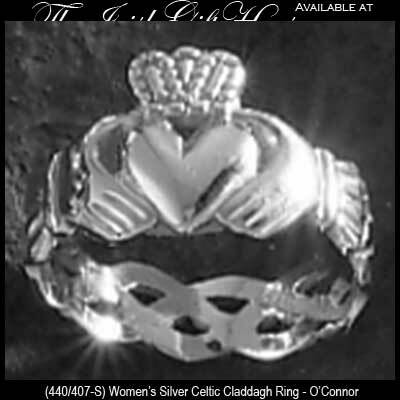 Sterling silver Claddagh ring for women features a Celtic knot band. This sterling silver Claddagh ring features a Celtic knot band that extends from the wrists. The women's Claddagh ring measures 7/16” tall, (just under 1/2"), from the top of crown to the bottom of heart and the Celtic knot band is 1/4" tall.